Spider-Man: Into the Spider-Verse is unlike any other film I have ever seen. It experiments with the use of colors, sounds and animation styles and the result is a comic book movie that actually feels like a comic book. The animators and actors worked hard to make this unusual new world come to life on the big screen and I think they hit it out of the park. 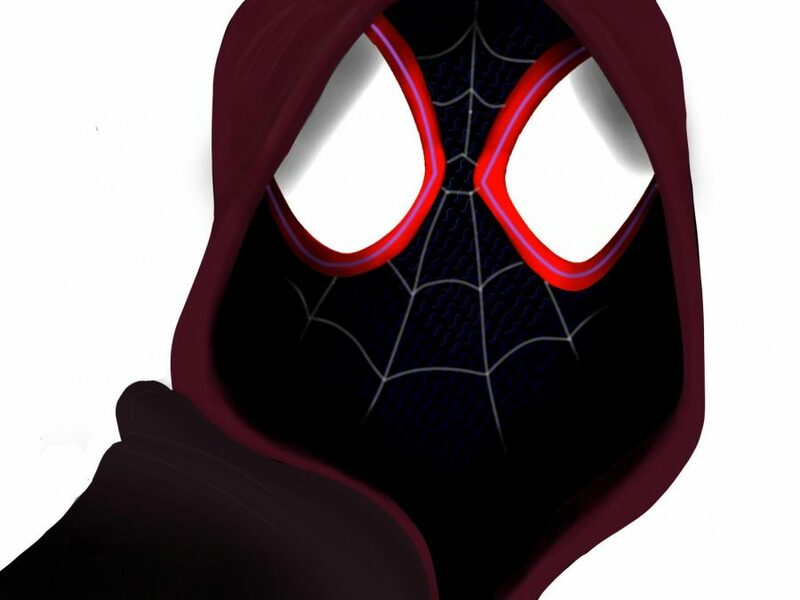 Spider-Man: Into the Spider-Verse follows young Brooklynite Miles Morales (Shameik Moore) on his journey to becoming a superhero. This journey starts one night after Miles gets bit by a radioactive spider and sees the Peter Parker version of Spider-Man (Chris Pine) die trying to stop mob boss Kingpin (Liev Schreiber) from ripping a hole in the multiverse. Before he dies, Peter ends up in the cross fires of Kingpin’s machine which draws several other spider-people through the rip and into Miles’s universe. Miles vows to use his newfound powers to finish Peter’s mission and avenge his death. He works together with a different version of Peter Parker (Jake Johnson), this one from a universe very similar to our own, and a team of other spider-people, including Spider-Gwen (Hailee Steinfeld) and Spider-Ham (John Mulaney), to destroy the machine and send everyone home. This movie is a perfect example of what a superhero movie should be. It is all about daring adventures but still has time to focus on the characters and make the audience relate to them. The movie takes the time to look at each of the spider-people’s individual objectives and obstacles while remaining focused on the overarching plot. Miles is given the room to be his own person and not be overshadowed by Peter Parker’s reputation. Watching this film was an entirely new experience for me. I was completely sucked into the crazy universe on the screen. There were many deeply emotional moments — I will admit that I cried multiple times — but they were often followed by humorous ones. It would have been very easy to make this movie cheesy and overdone but the end result obtained the perfect balance of seriousness and lighthearted fun. In the end Spider-Man: Into the Spider-Verse is a movie about family and what it means to find people who you can relate to and rely on. This message can be seen through Miles’s strained relationship with his father and again through his complicated relationship with his beloved uncle, but I think it is most clearly represented through the relationships formed between the different spider-people of the multiverse. Every time that Miles meets a new person with spider-like abilities their spidey senses tingle and they repeat the same line, “You’re like me.” Miles found his own family of people who understood him and his struggles and by the end of the movie they have helped him find the confidence he needs to finally claim the title of Spider-Man. Overall Spider-Man: Into the Spider-Verse, has likely changed the way I watch movies forever. It has shown me what exactly a comic book movie, or any movie for that matter, can be and it has raised my expectations. I will not be surprised if Spider-Man: Into the Spider-Verse changes the way producers, directors and critics think about movies as well. I will probably be re-watching this movie for the rest of my life, and I highly recommend you do the same.